Confession is important. There are times when we need to take stock of our vision and recognize the ways we have fallen short of the values we want to embody. 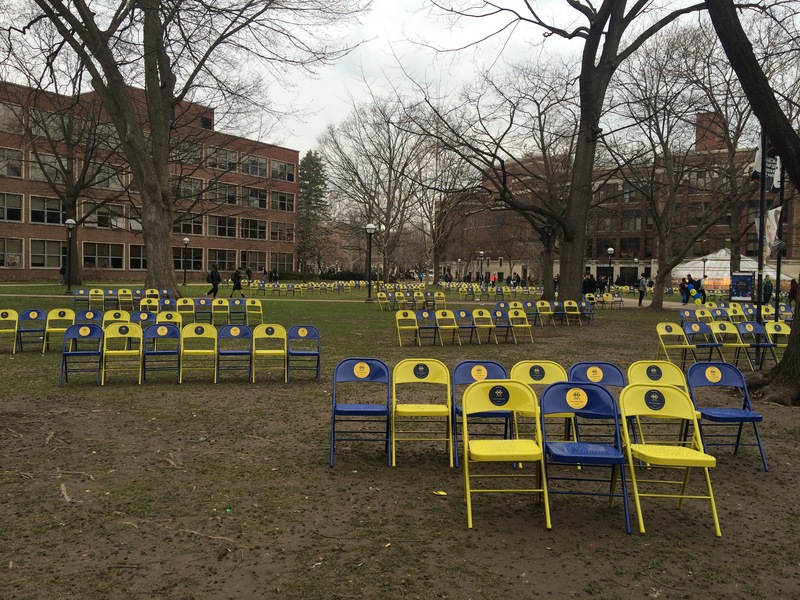 Right now, there are 980 blue and maize chairs set up on the Diag at the University of Michigan. This is the projected number of missing students of color from 2007-2017. Minority enrollment has decreased quite a bit during that time after the passage of Prop 2, a ballot measure which eliminated the consideration of race in admissions throughout the state of Michigan. The University of Michigan is currently is celebrating its bicentennial anniversary. These chairs are are part of an art project called Stumbling Blocks. Right now, multiple installations are on campus, seeking to acknowledge of the ways that the university has fallen short of its vision. The University of Michigan does not have enough students of color in its student body. These are some of the missing voices among us. This is a systemic problem that affects the quality of education across the board. I recognize that affirmative action remains controversial in the thinking of many, but it was effective in rectifying some of the stumbling blocks students of color were already experiencing in high school education. There are great educational disparities in Michigan. These missing voices are smart and deserving. And they could have added vital perspectives that would have shaped all of us. After all, how do you have effective conversations about race in the classroom when the class may have 0-2 students of color enrolled in that class?